I'm trying to find a good smartphone that will be new enough and have enough features to keep me happy for a while (at least a year). At first, I was almost certain I would be getting one of the new BlackBerry phones that have come out recently, either the Z10 or Q10. However, the more I researched what's out there, the more I realized that all the major platforms have great things to offer. The only platform that I had absolutely no hands-on experience with was Windows Phone. So, when I discovered the Nokia Lumia 521 and it's amazingly low price of $130-$150 with no contract through T-Mobile, I decided it was the perfect opportunity to give Windows Phone a try without committing a lot of money up front or being locked into a contract. Walmart's website had them at a price of $129.88, and after checking repeatedly each day most of last week only to find them out of stock, I finally found a brief window when they were available and I quickly ordered one. I checked again about 30 minutes after I ordered and they were again out of stock. These are obviously popular little phones! I received my Lumia 521 on Monday afternoon (I am writing this post on Saturday), so I haven't even been using the phone for a full week yet. But I'm usually able to learn and understand new technology pretty quickly, and I can confidently say at this point that I am very impressed with what the Lumia 521 can do at such a low price. Obviously, Nokia had to scale back or eliminate some features found in its flagship Lumia 920, 925, and 928 models. But, even then, the hardware really stands out compared to Android smartphones at the same price. Here is a summary of the specs (for all the geeks like me). What it has: the Lumia 521 sports a 1 GHz dual-core Qualcomm Snapdragon™ S4 processor, 512 MB of RAM, 8 GB of internal storage expandable by up to 64 GB via micro SD slot, user-replaceable 1430 mAh battery, WiFi, 5 megapixel rear-facing camera, and a 4" display with a resolution of 800 x 480 at 235 pixels per inch. What it does not have: it lacks a front-facing camera, flash for the rear camera, and does not use T-Mobile's latest-and-greatest LTE network (I'll elaborate on that in the "Carrier" section below). These are obviously not stellar specs by today's standards, but for an entry-level smartphone they are fantastic. The phone's processor and memory seem to be more than adequate for my use. The interface is very smooth and responsive and I haven't noticed any slowdown or lag at all. But if you intend to play high-end games you will probably run into some problems, as such games are designed for phones with faster processors and more memory. On paper, the screen is nothing to rave about, but I have found it to be surprisingly good. The colors are clear and vibrant, text and photos look great, and it has Nokia's enhanced touchscreen sensitivity that allows you to use the phone even while wearing gloves! The rear cover has a rather cheap, plasticy feel and is not textured, so it feels a bit slippery at times. It's a little hard to get off the first time to put the SIM card and battery in, but once you get the knack, it's fine. It feels solid and durable enough, and I wouldn't expect a sleek unibody aluminum case at this price, anyway. The 5 megapixel rear camera is surprisingly good, and with the help of Nokia's built-in photography software you can take some very nice photos in good lighting. However, the lack of a flash means you won't be taking good pictures in low lighting situations. The lack of a front-facing camera might be a concern for those who absolutely need to do video calls, but I can count on one hand the times I've done such calls from a smartphone, so it wasn't a huge concern for me. The built-in storage of 8 GB might concern some, but the fact that you can expand the storage via micro SD card up to 64 GB should assuage any fears of running out of space. I don't keep music or video files on my phone, as I prefer to use cloud-based and streaming services, so it's not a concern for me. Battery life is typical of most smartphones. I am able to get through an average day on a single charge, but if you use the phone constantly the battery will drain faster. The fact that the battery is user-replaceable is a big plus, so you can buy an extra battery or two and swap them out during the day if you need more juice. I also have to mention the external speaker and earpiece volume is excellent - probably the best I've experienced out of all the smartphones I've used. Overall, from a hardware standpoint, the Lumia 521 can stand toe-to-toe or beat any other smartphone out there at the same price point. You get a lot for the money! The Windows Phone 8 operating system is a breath of fresh air, and the Lumia 521 runs it beautifully. Instead of dealing with the tired-old scene of rows of icons on the home screen, or a hodgepodge of widgets, you are greeted with the simple, elegant tiles of the metro interface. Some of the tiles are "live tiles" that display relevant, real-time information related to the app without you having to open it. In essence, the concepts of icons and widgets employed on other platforms have been merged into a better-organized, better-looking interface in Windows Phone 8. It's generally easier to get to what you want, and requires less taps or gestures. You can access just about anything you want to in one tap by pinning its tile to the home screen. You can arrange the tiles in whatever configuration you want. I really like the large, clear fonts, and stylistic touches throughout. Most apps incorporate the style and feel of the OS to create a sleek, unified experience. Email, calendar, and contacts management is great. Being a Windows Phone, integration with Microsoft's products and services is built-in, but you can also sync with other accounts. I was able to easily set up and configure all my different accounts. By default, each email account has its own separate tile which you can pin to the home screen, and you can read and manage your emails separately that way. But I just discovered a feature that allows you to combine selected email accounts into a unified inbox, which I think is fantastic. I've combined all my personal email accounts into a unified inbox and left my work email account as its own separate inbox. App selection is not yet on par with iOS or Android, but better than on BlackBerry 10. There are enough popular apps like Neflix, eBay, and Facebook to keep me happy, and Microsoft is throwing a lot of cash around to try to get good developers to bring more apps to the platform. Nokia phones also have access to Nokia's proprietary apps, like their photography, maps, and GPS navigation apps, most of which are actually quite good. Windows Phone 8 is a young OS, and it is not with out its quirks. There are several features that Windows Phone users hope to see implemented in future updates, such as a notification center and better notification and ringtone customization options. But overall, WP8 is a very capable mobile OS that sets itself apart from its competitors in many ways. If you are looking for a fresh smartphone experience with a lot of potential, you should definitely give Windows Phone a try. 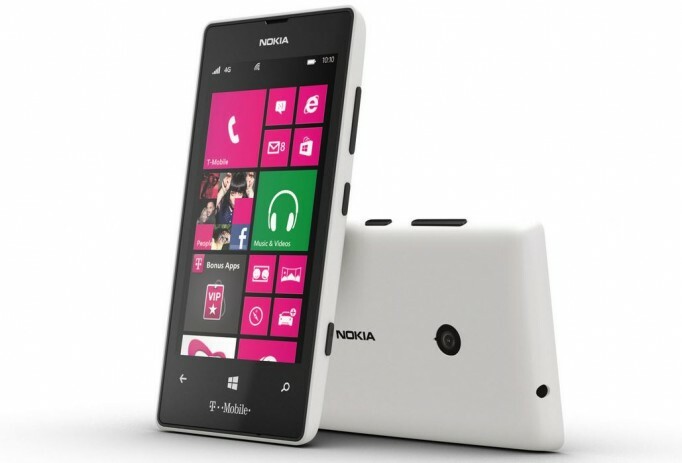 The Lumia 521 is exclusive to T-Mobile, and does not support their new LTE network. 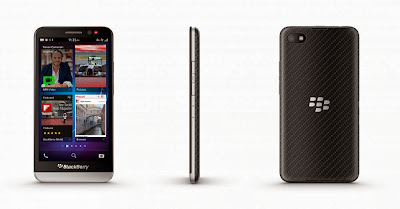 It does run on their 4G network, which provides speeds that are more than adequate for the average smartphone user. T-Mobile, as a carrier, is a mixed bag. They have the best plan prices of the major carriers (T-Mobile, Verizon, AT&T, Sprint) with no contracts, but their coverage is probably the worst (although they are supposedly investing a lot of money in improving it). I don't live near a major metropolitan area, and when I'm at home I can only get a 4G signal if I'm upstairs and next to a window. Fortunately that's not a problem, since I use my home WiFi. But when I'm out and about it's hit or miss as far as getting a good 4G signal. I'm willing to live with the spotty coverage because I bought my Lumia 521 with the intention of trying out the Windows Phone experience, and with the intention of using it only for a few months while I decide which high-end smartphone to go with. If you intend to use this phone for a while and stay with T-Mobile for the long-haul, I recommend checking T-Mobile's coverage in your area, and maybe even seeing if anyone you know in your area uses T-Mobile and asking them what they think of their service. Because of the poor coverage in my area, this is probably the weakest aspect of my Lumia 521 experience, but I recognize and understand that is not the phone's fault, it's T-Mobile's. The Lumia 521 provides tremendous quality and value for the money. Nokia and Microsoft have really hit the sweet spot with this device, as evidenced by the fact that retailers can't seem to keep them in stock very long! I highly recommend the 521 to anyone looking for a good entry-level smartphone, and it is also an ideal way to give Windows Phone a try without breaking the bank or being locked into a contract.